The story in a nutshell is that it was war time in China and that the battle of the Liang and the Wei has left most soldiers dead. 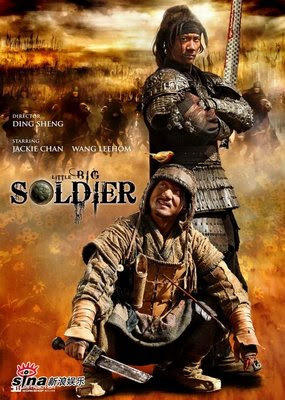 At the battlefield there only stands two survivors, a foot soldier from the Liang side (played by Jackie Chan) and a General from the rival side (played by Wang LeeHom). The foot soldier survived the battle not because of being skillful in fighting but rather his cunning trickery of playing dead instead of fighting. 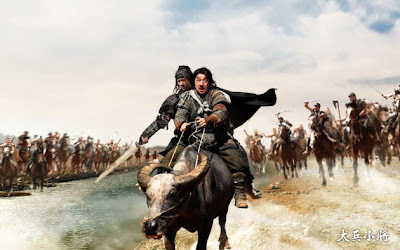 The General was badly wounded in the battle and that's when the foot soldier took the opportunity to make him as his captive in which upon presenting him as a captive to the Liang warlord, he will be exempted from further soldiering duties which he so desire to. This show was stuck in production for 20 over years. This is unlike the normal Jackie Chan shows although there's the comedic action thrown in it. But it's not like the usual Jackie Chan show to me because this has less comedy in it and less action in it. It's more of a serious show. And in the end, Jackie Chan dies. Also, this character he acts portrays him as a weak fighter (except for the scene where he was dreaming). Personally, I find it quite a bore so to me it was 2 stars out of 5.